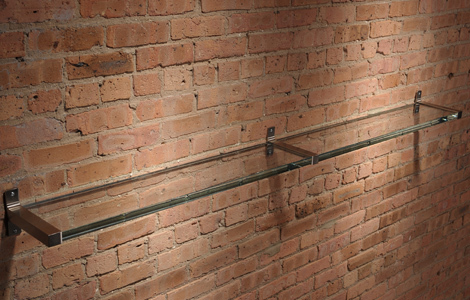 Glass display shelves are generally more upscale than comparable wood shelves and are available in many options. In most circumstances, we recommend either 3/8” thick tempered glass, or for a more impressive appearance, ½” thick shelves are appropriate. The glass itself can be standard clear which has an aqua green hue, especially on the edge, or one of our specialty glass products. Architects and interior designers have been in the forefront of using ultra clear “Starphire”® low-iron glass which is much less “green” than regular glass, as well as the rich look of smoked bronze or charcoal grey glass shelves. For very high-end applications, consider our ultra shelf…massive 1” thick “Starphire”®, for when the shelf must be worthy of the item to be displayed! Please feel free to call our design department at 1-800-793-1011 for options, suggestions and pricing. At American Glass Top Company we only use premium quality domestic produced glass and our exacting quality control procedures assures that when it comes to glass display shelves, ours are the absolute finest available. 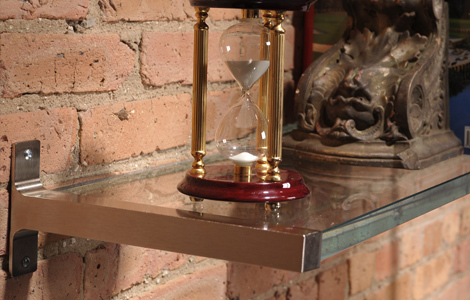 For a glass shelf worthy of the objects to be displayed, you might consider an offering from American Glass Top…the Ultra Shelf. 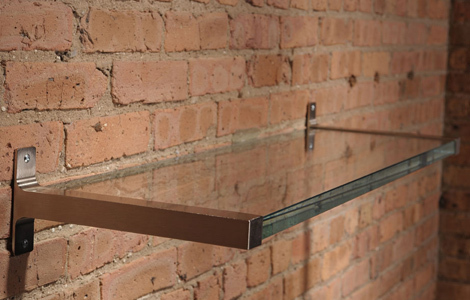 Fabricated from crystal clear 1″ thick Starphire® glass, the Ultra Shelf has no equal. 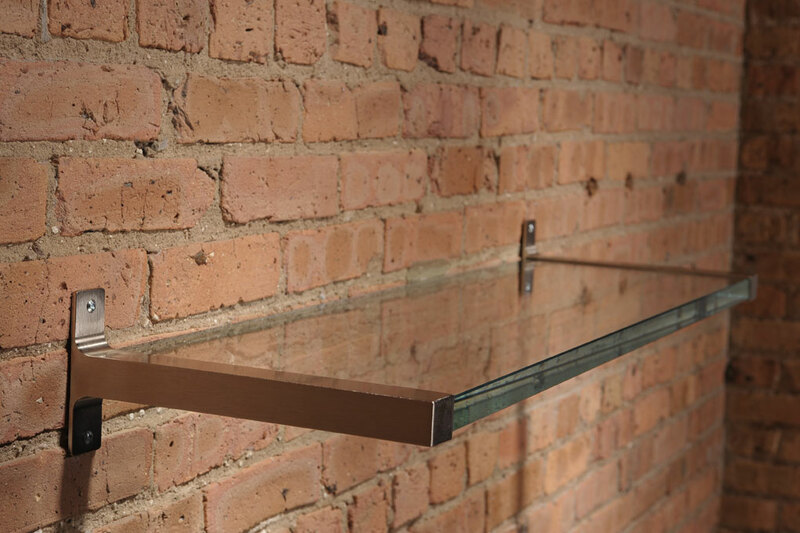 A massive profile coupled with incredible clarity makes this display shelf perfect for high-end applications. 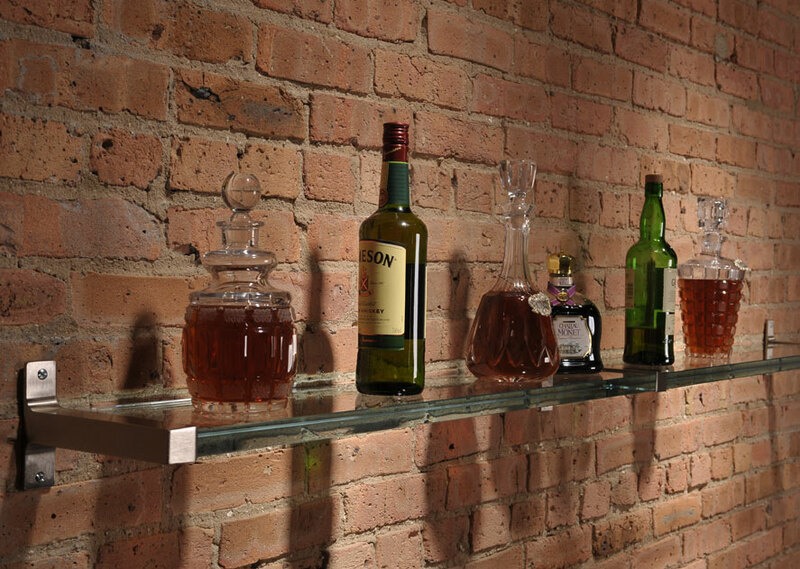 From super sophisticated bars and nightclubs to executive boardrooms, the Ultra Shelf makes a statement that is undeniable… check this out! The shelves can also be gray (charcoal) or bronze (brown) and in many different sizes. Call 1-800-793-1011 or visit our website for more information.